Keying into the words of the famous leader, Olusegun Obasanjo who said ‘ If you think Education is expensive, then try ignorance’, Nigerian students are constantly on the push for this education no matter the cost of it. These admission slots are most a times given in a complicated manner in honour of the federal character principle. This is a method ( preferably law) which mandates privileges in the country to be shared between the different nations(parts) of the country as depicts a true federal state. Nigerian federal institutions are much obliged to hold this principle than state and private ones. That may be a factor why Nigerian admission slots is becoming scarce but there are dozens of them. Another is the monetization of these slots which suits the rich. They their ways into institutions rather than take the main gate. These and more have made the admission into institutions of higher learning a serious process. 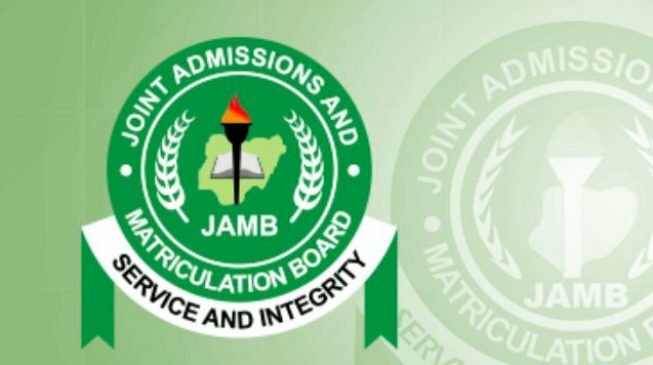 JAMB 'CAPS' is an abbreviation for 'Central Admission Processing System'. This is an entirely automated system used by JAMB to automate certain admission in Nigerian Tertiary institutions processes. It acts like a sort of a marketplace where prospective undergraduates search for institutions of admission. Institutions nationwide key in their requiments and basis of admission and is said to operate totally automatic. Nearing the time to a new academic session ( usually weeks after UTME), JAMB opens this part of their portal for admission seekers to check their admission status and thereby either accept or reject it. Getting an admission on the JAMB CAPS platform doesn't necessarily mean one automatically gotten the admission withe the institution. One has to exercise patience until the main list issued by the institution applied for is out. Some students obtain their required admission at the institution but weren't given so on CAPS. This can be rectified by informing your institution of such development. 2. Open your fav. browser (Preferably, Google Chrome, Forefox). 3. Visit the jamb caps admission checking portal on http://caps.jamb.gov.ng/acceptadmission.aspx. Your details including Jamb score, institution, date of birth,etc will appear when you have successfully logged in to Jamb caps portal. CAPS UTME/DE Admission status . 5. Click on UTME/DE Admission button to check and accept/reject your 2018 status of admission. If you are given admission and you like the school then click on accept admission .However, if the institution and course space is blank or you have not been offered admission then don’t click on accept admission. Just keep checking back. Be very careful not to accept admission when you are not offered. 6. Once you accept the admission offered you then your admission door is closed for that year. This should be a frequent experience to a zealous admission seeker. Numerous time you checked on CAP, the 'Admission in progress' notification will be displayed. If you see not admitted yet in your Jamb Caps market place it means your school hasn’t started giving admission and all you have to do is close the page and keep checking back. Don’t click on the accept admission TAB. When your school of choice releases her admission list,you will not only see the “ACCEPT” icon but also a ‘DECLINE’ icon . You are enjoined not to click on the ‘ACCEPT’ icon until you receive an admission notification from your institution of choice. What If I Mistakenly Accept Admission In My Caps Portal? If you mistakenly accepted admission when you have not been offered admission by any school yet wouldn't affect anything about you admission as far as you didn't decline or accept an admission given by the school ypuapplied for. If it's the later, then it means that your door of admission for that year has closed. While accessing JAMB's CAPS, its necessary you are careful while surfing through it as you bear in mind what a wrong click can do to your admission chances. Goodluck! Dear drealup, I mistakenly accept wrong course on jamb caps. Please what can I do.